Solvent Free Artificial Grass Glue. Made in Germany. 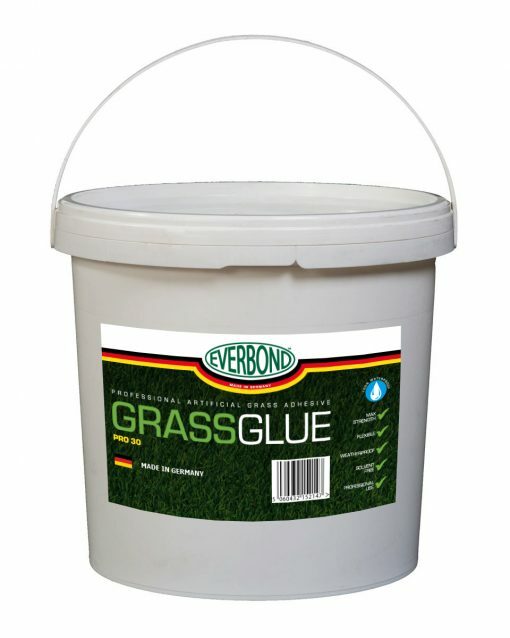 EverBond™ GRASSGLUE™ has been exclusively developed for the bonding of artificial grass. Extremely strong and durable, EverBond™ GRASSGLUE™ has been developed to withstand the planets severest of weather conditions. Germany’s strongest artificial grass adhesive can now be purchased here in the UK. Green adhesive that is coloured matched to most brands of artificial grass. The UK’s first and only polyurethane artificial grass adhesive free of isocyanates and solvent free. Used to permanently bond seams of artificial grass together when used in conjunction with EverBond™ Seaming Tape and permanently bonds to concrete, wood, asphalt, fibreglass and plastic. EverBond™ GRASSGLUE™ is the ONLY solvent free one component artificial grass adhesive in the UK. The ready to use one component adhesive reduces waste and removes the dysfunctional task of mixing hardeners resulting in cleaner and faster artificial grass installations. With quicker artificial grass installations and virtually no waste means the cost comparison with two component artificial grass adhesives is considerably cheaper. Because EverBond™ GrassGlue™ is solvent free it can be used on indoor and outdoor surfaces that many solvent based products can’t. It also means that no special certificates are required for courier distribution. When using the EverBond™ Notched Trowel Spreader the extremely strong adhesive maintains excellent ridges even during hot and cold climates and is also resistant to humidity and frost. 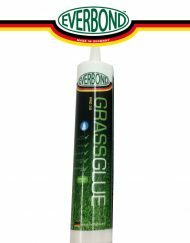 Artificial grass adhesive by EverBond™ GRASSGLUE™ can be supplied in a variety of sizes from 310ml tubes, 5kg buckets and almost any size required. Made in Germany and distributed worldwide.